Although many people enjoy doing the majority of their travel during the summer, others find Autumn the best time for planning a trip. If you’ve always wanted to visit Morocco but have been afraid of that hot summer sun, October might be the perfect time of year! Although there is still a fair amount of tourist traffic in Morocco in the Autumn, there are far fewer travelers with children. This may be great news if you prefer the company of adults when you travel. There are three important festivals held in Morocco in October, and each is very popular with tourists. So be sure to book your tickets and accommodations early if you plan to attend, so you don’t miss out on something wonderful. 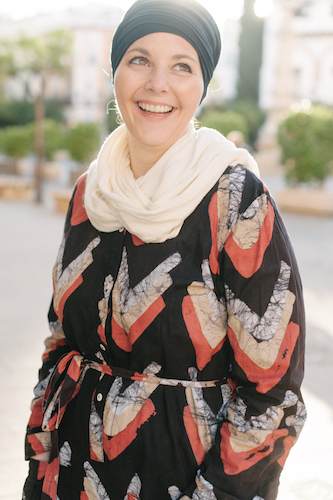 October in Morocco can be rather random – with hot days, cool days, dry days, and rainy days. But it is also a singularly beautiful time to visit. So if you dream of a vacation in October, Morocco is ready to welcome you! Autumn really begins to make itself known in October in Morocco. Temperatures drop into the 20s (C) during the day and the teens at night in most places. In desert cities like Marrakech, daytime temperatures still hit as high as 29°C at times, but there are cooler days, as well. And evenings cool off to the point where you will be much happier if you have a sweater or light jacket to slip on after dark. In the mountains, temperatures drop even more and the leaves on deciduous trees start to change colors. And if you are staying on the coast, you may feel at times that the heat of the sun is in direct competition with the chill of the ocean breeze. October is also the month when rainfall increases after the dry summer. Although Morocco gets far less rain than many places, it is a good idea to be prepared for the occasional rainfall if you are visiting North Africa in October. The trickiest part about packing for an October vacation in Morocco is doing your best to be prepared for everything! Morocco has a reputation for being a “cold country with a hot sun” and when Autumn begins, you really see the truth of that first-hand. Be sure to pack lightweight and loose-fitting clothing for days when the temperatures are high and the sun is hot. Light slacks, skirts, loose jeans, and short sleeved shirts that cover your shoulders and bottom are great to have on a hot day. Hats, scarves, and sunglasses offer important protection, too. But you will also want to be prepared for the drop in temperature when the sun goes down. Sweaters and hoodies are nice to have, as well as sweatshirts and even light jackets. And having the choice between warm or lightweight sleepwear is a good idea, too. Lastly, you might want to consider packing an umbrella. Not only will it offer you shade from the hot sun, it will also protect you if you suddenly get caught out in an Autumn rainfall. 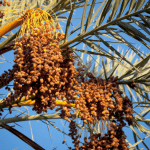 (End of October-Date Varies) Date Festival – Held in the Sahara Desert oasis town of Erfoud, the Date Festival marks the end of the harvest season for the Mejoul variety of dates that are grown in the region. The three-day festival is a delicious celebration, rich in food, local music, dancing, camel racing, and other fun activities! (Mid October-Dates vary) MOGA Electronic Music Festival – Held in the beautiful Atlantic coastal city of Essaouira, the MOGA Electronic Music Festival is an irresistible combination of the old and the new. 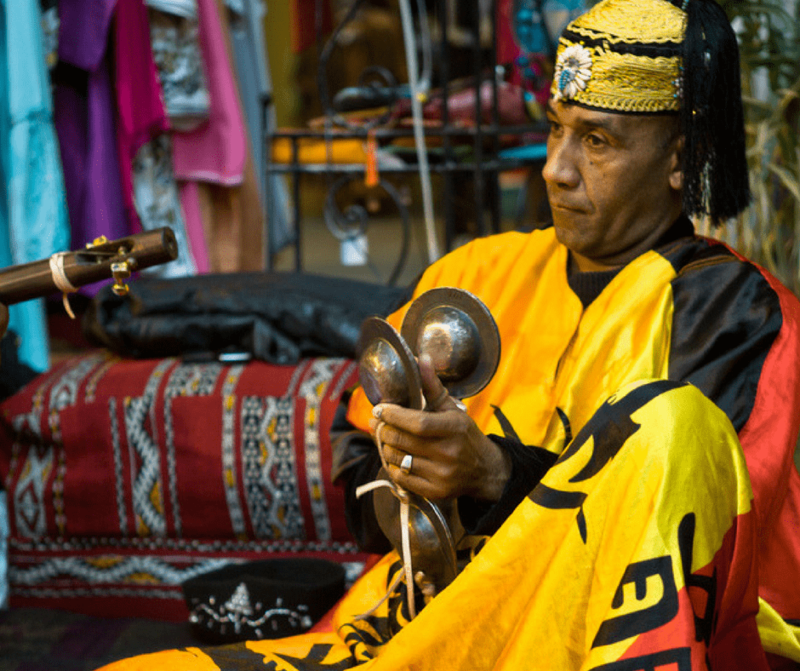 Traditional Gnawa music, dance, and art is enjoyed alongside some of the most amazing electronic music you’ve experienced. Add to this a series of lectures, exhibits, and film screenings, all held in the filming location for Game of Thrones, and you have a festival that you just can’t miss. If you’re in Morocco in October, do your best to attend this amazing event! (End of October – Dates vary) Taragalte Festival in the Sahara Desert In the peaceful desert oasis of M’Hamid El Ghizlane, Taragalte is a three-day celebration of the nomadic culture, heritage, and music. The days and evenings are filled with concerts, dance, poetry, art, and workshops promoting peace, consciousness, and environmental awareness. There are three amazing festivals to choose from in October in Morocco. Whether you are a fan of music, love eating dates, or want to learn more about the environment and the different cultures of Morocco, there is a festival perfect for you! With October bringing a drop in temperature from the often grueling heat of summer, travelers who are heat-sensitive will find Autumn to be a better time to explore the inland desert regions of the country. 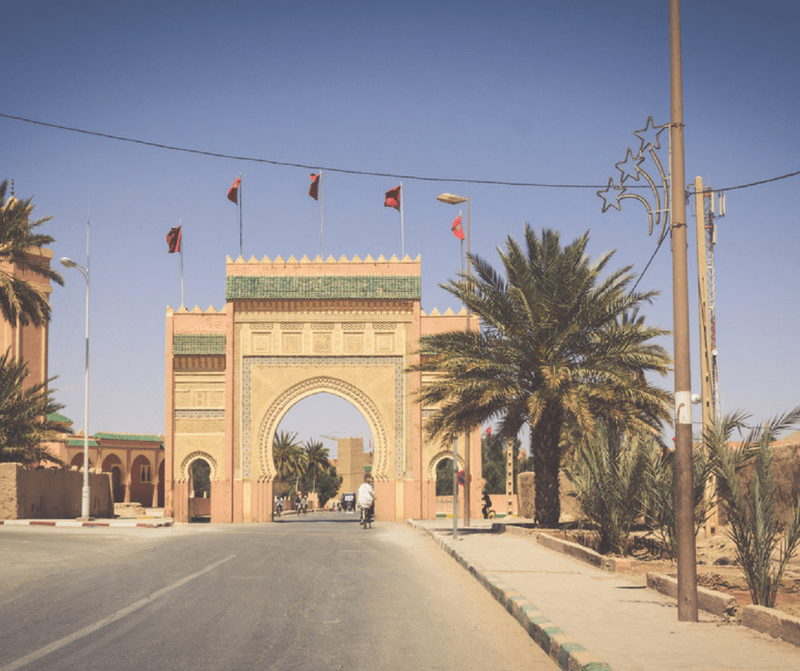 Whether wandering the amazing marketplace in Marrakech or taking a camel ride out into the beautiful Sahara desert, many people find October temperatures to be more agreeable. No matter where you wander in the country, keep an eye on the local landscape. Especially in the cooler mountain regions, the beauty of Autumn begins to reveal itself in golden grasses and changing leaves. And it is always good to be mindful of dining options, museums, and other places where you can step inside and take a break from the weather – whether you are escaping from the hot sun or an unexpected rainfall. 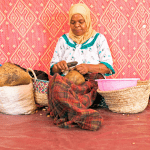 The small oasis town of Erfoud is often overlooked. But this lovely area is definitely worth a visit, especially in time to see the Date Festival held every Autumn. If you make it to Erfoud for this three-day festival celebrating the sweet and delicious date, be sure and stick around to enjoy a few more of Erfoud’s charms! There are some lovely restaurants in Erfoud, and the daily market should not be missed! Lively and fun, you’re sure to find a treasure or two you can’t resist taking home with you at the end of your trip! There are many incredible fossils found in Erfoud and the best place to see them is at Brahim Tahiri’s Museum of Fossils & Minerals. This private museum is a great place to explore and learn about the history of the Erfoud region as well as the history of the planet. Essaouira is a great city to visit any time of year, but that is especially true in October. That’s when the wonderful MOGA Electronic Music Festival takes place, offering up a tantalizing combination of modern music and ancient melodies from all around the world. If you find yourself visiting Essaouira in October for the festival, stick around to see a bit more of this wonderful place! Autumn days are a perfect time to explore the old medina, Spend a bit of time wandering the Kasbah and then head to the Mellah for a trip back in history. In the 18th century, nearly half of the city of Essaouira was Jewish, and in the Mellah, you see that reflected still today. From the large Jewish cemetery to the Stars of David found engraved above many of the doors, the Mellah is a lovely example of the cultural diversity found in Morocco. Art lovers will find much to enjoy in Essaouira. There are a number of art galleries, many owned by artists living in Morocco. Be sure to make reservations to visit the Azur Art and Spa gallery, where a number of local artists show their works. You may even get the chance to visit with some of them! Located approximately three hours Northwest of the small oasis town of M’Hamid is the Atlas Mountain town of Agdz. 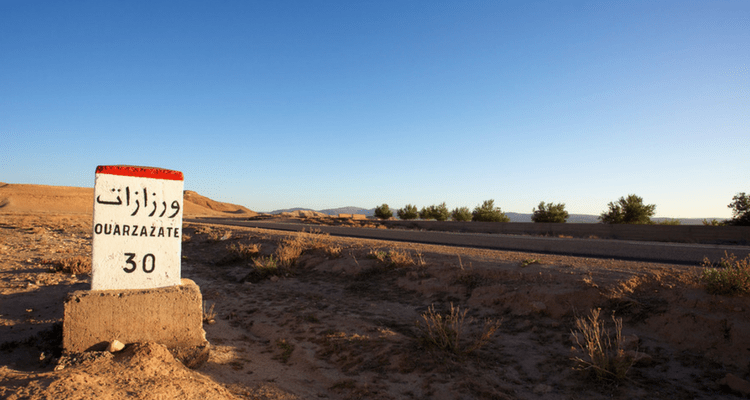 If you find yourself out in the Sahara Desert in October, it may be tempting to pass right on through Agdz on your way back to Ouarzazate. But this charming mountain town on the banks of the Draa River is worth a stop, too. Hikers will love the area. Day hikes all over Mount Kissane are always available, by map or with the help of a hired guide. Longer treks are also available, for people who really want to get lost in nature for a little while. In town, a visit to the Tamnougalt Kasbah is a must. Not only is the architecture worth a look, the kasbah sits above a palm grove and the views are just incredible. Make sure to talk to a guide to learn all about the hidden history of the kasbah as you make your way through a maze of alleys and corridors! The city of Ouarzazate is known as both “The door of the desert” and “the Hollywood of Morocco”. Both names are completely fitting. Located approximately an hour northwest of Agdz and south of the High Atlas mountains, Quarzazate is a jewel in the desert, surrounded by land so picturesque, it is easy to see why films like “Cleopatra”, “Lawrence of Arabia”, and TVs “Game of Thrones” have been shot here. 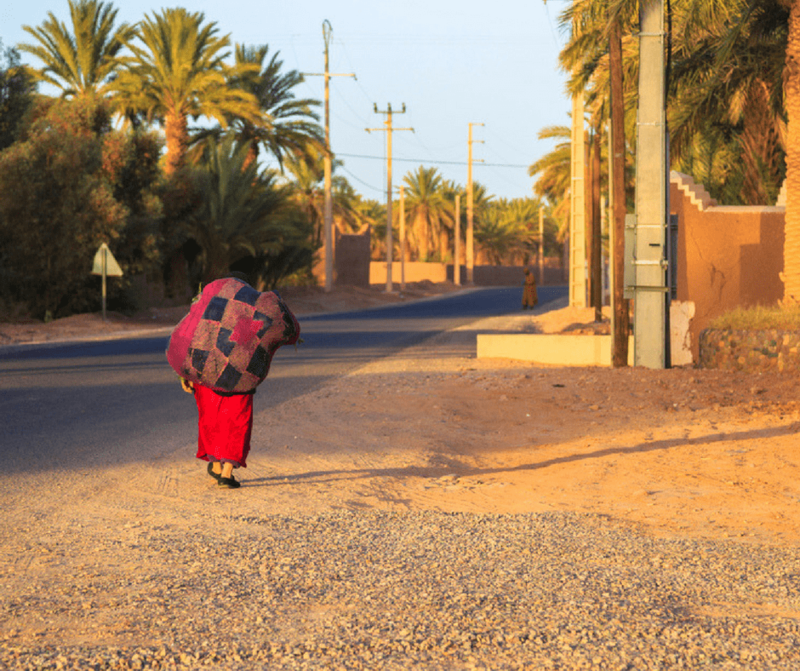 Visitors to Ouarzazate generally make their way to Atlas Film Studios and the Cinema Museum of Quarzazate. But film buffs will want to also make sure they find their way to the CLA studios to visit the castle set used in Game of Thrones, Kingdom of Heaven, and more. And if you just want to enjoy a bite to eat while watching life go by for a while, head to the popular Habous. They have lots of outdoor seating in the busy square where you can relax and people watch while enjoying some delicious food. And once your tummy is full, you’re in the perfect location for a relaxing stroll in this picturesque desert town! When Autumn comes to Morocco, bringing cooler temperatures and a bit of rain, it may just be the perfect time for you to plan your Moroccan escape!